Community prevocational program members prepare for senior citizen luncheon, doubles as preparation for future endeavors. Kristina and Joe are picked up from their homes each day and are bused to Key Industries where Kristina has worked for nine years and Joe, for 30. Key Industries production workers spend their days packaging items such as CO2 cartridges (“bullets” as the employees call them), golf balls, or tees, but some days they can choose to spend their time in the community volunteering, and Joe and Kristina often jump at those opportunities. Each month, two members of The Arc Wayne’s community prevocational program help prepare for and serve food at the Lyons Senior Citizen Luncheon. For the January 2019 luncheon, Joe and Kristina worked alongside their job coaches to prepare a homemade beef stew to serve at the luncheon. Lyons Community Center hosts a free monthly luncheon for senior citizens in the area. The Arc Wayne Prevocational Program helps prepare and serve the meal each month. “I like to keep busy,” said Kristina, and being involved in The Arc Wayne community prevocational program helps her and Joe do just that. 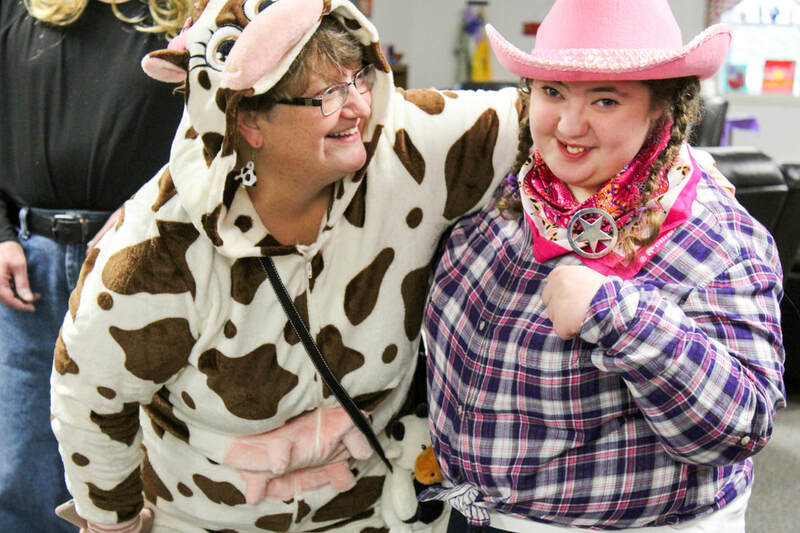 Key Industries and Community Prevocational Services are both programs of The Arc Wayne and often work together being in such close proximity to each other and sharing a mission of preparing individuals with disabilities for competitive employment. 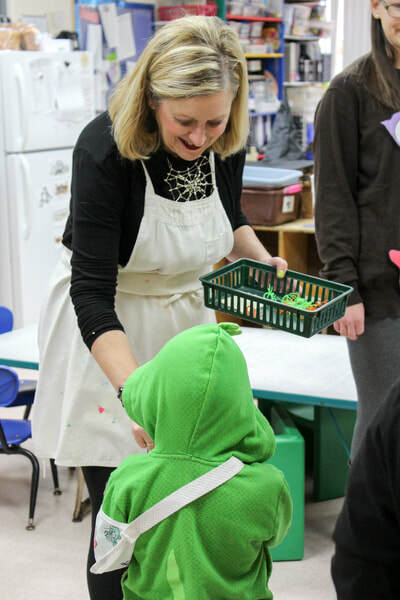 “If someone, lets say, would really like to work in a deli, going to observe deli workers at Sauders would be something we could go and do,” said Sharon Engle, a job coach at The Arc Wayne. Members of the program sometimes volunteer at the local Humane Societies to help make animals adoption-ready, help at the Emmanuel Church Food Pantry, stock shelves or practice budgeting at the grocery store, go on environmental clean-up walks, or deliver for Meals on Wheels. The program assists those who want to work, but need extra help developing the skills to be successful in their future workplace. “I would like to do something where I am helping people,” said Kristina when asked if she would like to work somewhere else aside from Key Industries in the future. Through the program, she hopes to volunteer at a local nursing home to prepare herself for a job in that area. Joe grew up on a farm and would love to be a farmer if he ever decided to leave Key Industries. Inclusivity at organizations such as del Lago Resort & Casino help make this possible. Becky works as a steward in the Farmers Market Buffet of the del Lago Resort & Casino. Like many people who receive services from The Arc Wayne, drivers in the transportation department pick her up at agency headquarters in Newark, and she is then taken to work in Waterloo where the resort and casino is located. “My favorite thing about working there is the big big machine,” Becky said. One of her duties in the kitchen is to run the large dishwashing machine that both washes and rinses dishes by pulling down the door. She also enjoys the environment and the people she works with at del Lago, specifically Mikey, who she says gives her a hand when she is in need. Del Lago Resort & Casino has a number of employees who are supported by programs of The Arc Wayne. Exercising inclusivity is an important step in creating both awareness among the public and opportunity for those with disabilities. The Arc Wayne’s Supportive Employment Program helps make this job a possibility for Becky, as well as other people who work to achieve goals such as finding independence in the working world. The Arc Wayne’s Residential Assistance Program also allows Becky to live in a supportive apartment. 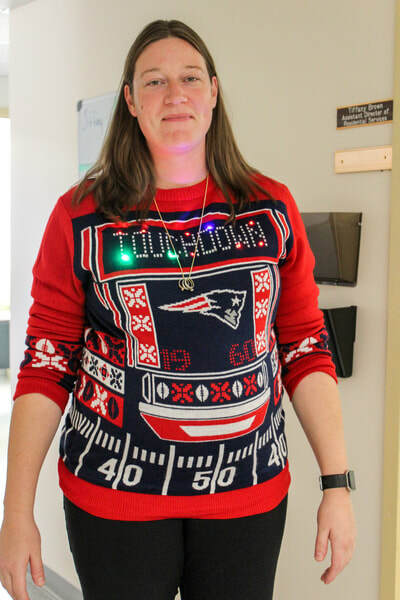 “Our residence assistance team is proud of Becky and all that she has accomplished, and we look forward to helping her to grow further,” Becky’s residence manager, Jessica Peer, said. The Arc Wayne currently has 14 24-hour staff-supervised homes that house individuals with intellectual and developmental disabilities. Becky has worked at the Farmers Market Buffet for one year, and previously, she worked at Goodwill in Macedon. When she is not working, she is often completing items on her house’s chore list, visiting with her neighbors across the hall, or spending time with her cats, Sunshine and Ringo Starr. Like most of us, she is looking forward to spring, for flowers to start blooming, and to maybe even planting her own garden. David, Jason, and Lisa took home the first place trophy at this year's Bee! The team was sponsored by The Arc Wayne. For 20 consecutive years, the 10 Rotary Clubs of Wayne County have come together to host the Wayne County Rotary Spelling Bee to benefit Literacy Volunteers of Wayne County. This year, on February 9, 2019, the Razorfish Reciters took home the first place trophy from the competition held at the Wayne Central Performing Arts Center. The Arc Wayne has sponsored a team for all 20 years, they have place first a total of seven times. The Arc Wayne is proud to be a continual sponsor of the Razorfish Reciters, formerly known as the Barracudas. 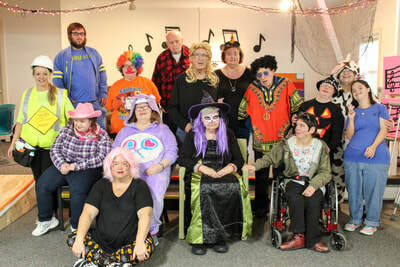 Ten teams competed in the competition this year, the Razorfish Reciters housed three members, all employees of The Arc Wayne. Lisa Powers is a case manager, David Englert, a project coordinator, and Jason, a production worker. After registering for the event, their team gets together for weekly spelling lunches to prepare for the competition. Jason would sometimes use braille flashcards to study as well. “Jason likes to spell medical words, words that mean small and food words,” Powers said. When competing, each team is timed while they collaboratively come to an agreement of the best way to spell the word. “S-e-p-t-i-c-i-z-a-t-i-o-n,” Jason spelled out, that was the winning word this year, meaning treatment of sewage by septic action. The Razorfish Reciters were the seventh team from The Arc Wayne to win the Bee. Our new engraving looks great! One of Jason's favorite memories from the past years of competing was when the event was previously held at the Eastview Mall because that meant that they could get Mrs. Fields’ cookies. He is already looking forward to next year’s spelling bee. 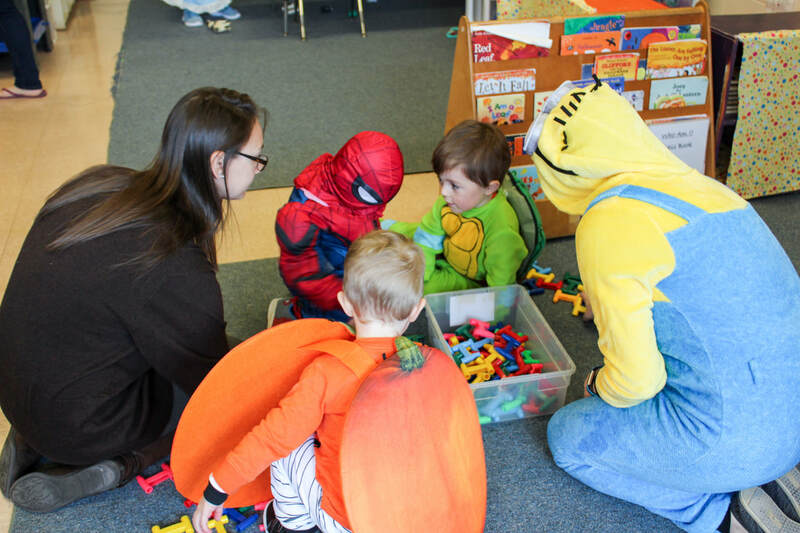 The mission of Literacy Volunteers of Wayne County is to promote and foster increased literacy in our community. They do this through a variety of programs and activities that provide opportunities for adults to learn, encourage reading in the community, and help children succeed in school. They have raised nearly $80,000 throughout the 20 years. 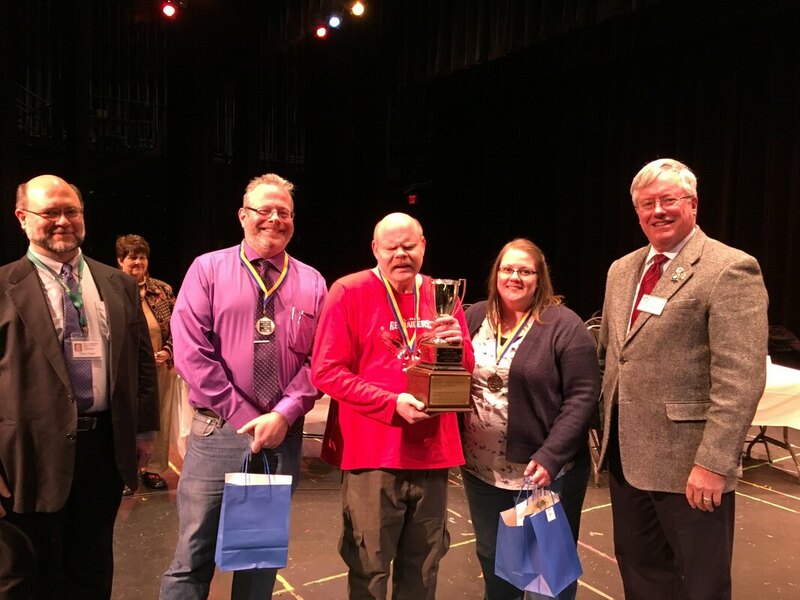 “Literacy Volunteers truly appreciates the support of so many community members, like Jason and The Arc Wayne, who have come together for the past 20 years to help raise awareness and support for the literacy needs in our community,” said Chris Edgar, Literacy Volunteers of Wayne County director and chair of the 2019 Wayne County Rotary Spelling Bee. At The Arc Wayne, we are fortunate enough to have some incredible volunteers who help the Salvation Army during their Christmas Red Kettle Campaign. Staff and individuals the agency supports went to the Newark location Walmart to ring the bell this year despite some bitter cold and snowy days. Together, we helped bring in $11,863.94 for our local community. "Your ringers and supervisors were wonderful," Anne Rogers, a Salvation Army volunteer, said in an email to The Arc Wayne staff. "They were punctual, polite, charming, friendly ringers. The shoppers really responded to them with open hearts. I learned from your ringer that we shouldn't even ring so we won't wake up the babies. I will never forget the gentle politeness in those words." The Arc Wayne's Community Pre Vocational (Pre Voc) program connects individuals with disabilities to volunteer and pre-employment opportunities in their community. 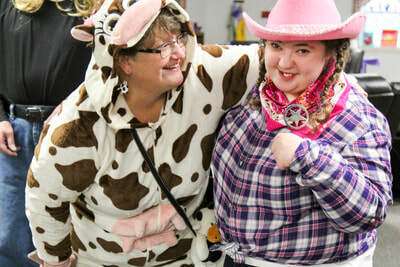 Individuals who are supported through this program have volunteered at dozens of businesses around Wayne County in order to gain valuable social and work skills that will help them prepare for future potential employment. People in this program appreciate being able to give back to their communities in a meaningful way, and we were so thankful that we could partner with the Salvation Army to do that again this year. ​If you are interested in learning more about our Pre Voc program, visit our services page or contact Tina Rossman. If you or someone you know works at a business that needs volunteers, we would love to discuss partnering with you in the future. 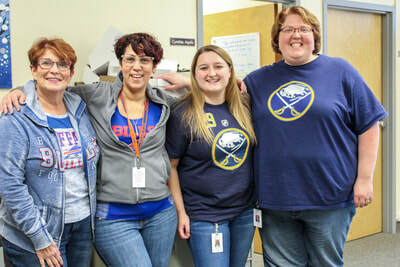 The Arc Wayne, with help and guidance from Finger Lakes Performing Provider System (FLPPS), will be infusing Cultural Competency and Health Literacy (CCHL) into everything we do at the agency after training is administered to staff, individuals we serve, and other community members. Cultural Competency (CC): The ability to interact effectively and respectfully with people of different cultures and the understanding that “culture” is so much more than race and ethnicity. FLPPS has declared CCHL a vital part of our local community organizations. If we can define social determinates that influence different populations’ health, we can start to decrease hospital stays and create healthier communities for people of all cultures and back- grounds. Over the next few months, The Arc Wayne will begin training staff and individuals to teach everyone what CCHL is and how we can create more culturally competent and health literate community members. If you have questions about CCHL, what it means, or how you can help infuse it into your work place, please feel free to contact Grete Steele De Torres, our CCHL Operations Specialist at The Arc Wayne. We would love to share how you can make a difference in your community by being more culturally competent and health literate. 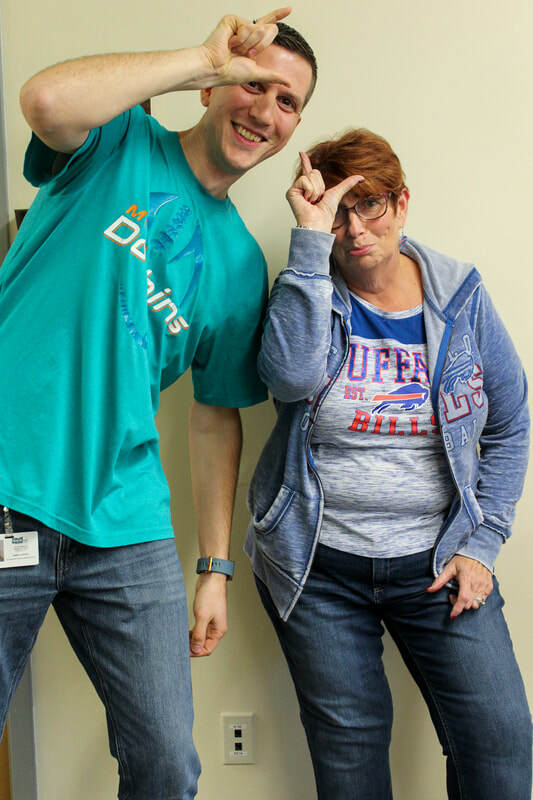 All week, The Arc Wayne has celebrated our greatest asset: employees. 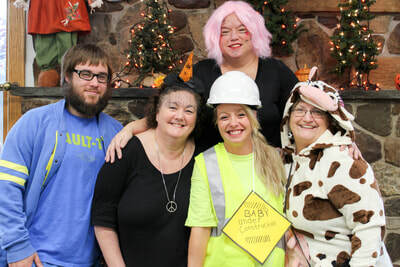 Our Human Resources department planned a week of themed days and gave away goodies to thank staff for all of the hard work and dedication they show to the individuals we support each and every day. It takes our team of more than 550 people to effectively and successfully operate The Arc Wayne day-in and day-out. We are thankful to have such a devoted team of that size. 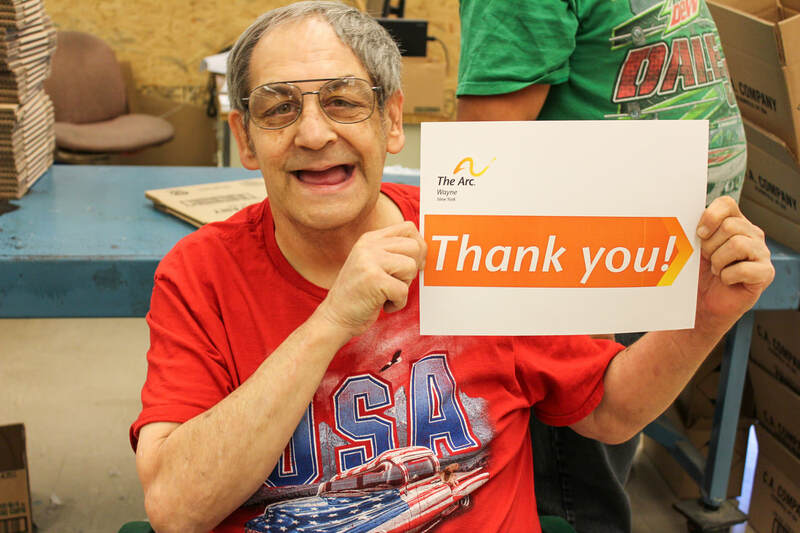 David Calhoun, The Arc Wayne's Executive Director, sent a message to staff at the end of the week thanking everyone for their work. "I would like to take this opportunity with the ending of staff appreciation week to thank you on behalf of the Board of Directors and the Administration. Thank you for the dedication you provide to the hundreds of people we support each and every day. Without your commitment and hard work, we would not be the largest and best non-profit agency in the county. 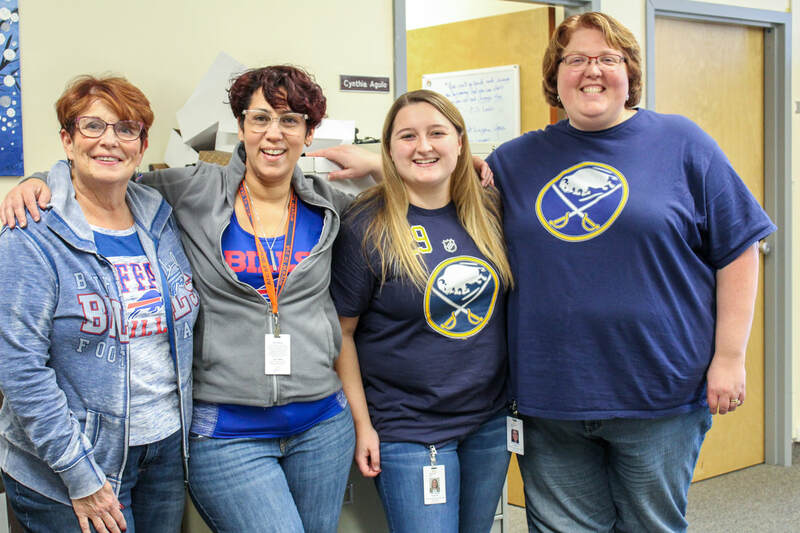 Our drive toward excellence through empowerment and opportunity makes The Arc Wayne a special place to work, and our team plays an absolutely vital role in accomplishing that for our community. 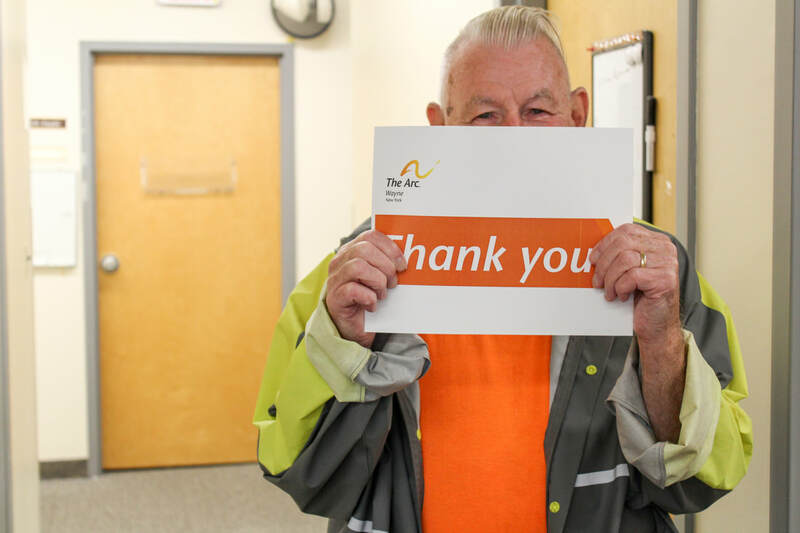 Staff appreciation week may be only 5 days long, but it takes 365 days a year to successfully operate The Arc Wayne, and we appreciate your help in accomplishing that." We hope you will help us in thanking our staff for helping connect individuals to a world of possibilities. Thank you to our direct support staff! Maria Purkiss takes some individuals she supports to Canandaigua Lake for an evening outing. Last week we celebrated National Direct Support Professionals (DSP) Appreciation Week. With hundreds of DSP's working for The Arc Wayne, it's safe to say that the agency would not be able to function without the compassion and dedication of our direct support staff. Working one-on-one with many of the individuals The Arc Wayne supports allows our direct support staff to really connect with the individuals they spend time with and help accomplish day-to-day tasks. 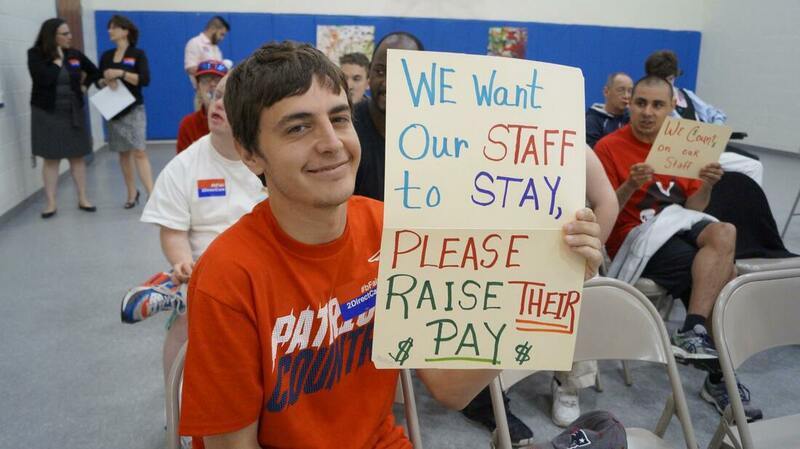 At The Arc Wayne, we like to say, "They don't live where you work, you work where they live." Being a DSP in one of our houses is more than just doing a job – it's finding a family. When our staff eat, play games, go on outings, and help envision goals with the individuals of that house, it becomes much bigger than just "going to work." All of us here at The Arc Wayne know how dedicated, inclusive, and person-centered our DSP's are in order to provide the best care possible for the individuals we support. We thank you from the bottom of our hearts for all the long days, late nights, extra shifts, hard times, and moments of success that you experience every day. We appreciate you!